It's no secret that Google is a company that dominates the market. Their products and services started out small and through excellent strategic measures and an effective business plan, their company quickly grew into a popular franchise that everyone was aware of. How did this happen? Through a well-made, quality infrastructure that you'll have access to when using Google email hosting. By having a proper, stable infrastructure backing everything you do, less worry and stress falls on your shoulders. Let Google do the hard stuff for you while you optimize and grow your business to new heights. We all know how common spam has become in recent years, and how annoying it can be to those who come across it when browsing through their email messages. Luckily, technology has been developed that allows users to block out spam from their lives. Google business apps are known for excellent spam protection, through use of an innovative background system that works to sort and filter your mail messages. Concerned about more than spam? Viruses and other harmful substances are certainly a concern as well, as hackers have gotten very good at getting around outdated security systems. When using Google email hosting you and anyone who works with you can relax and know that you have some of the best virus protection currently available when it comes to email hosting and the world wide web. If you are looking for the best bang for your buck, Google business apps may be a feasible option for you. 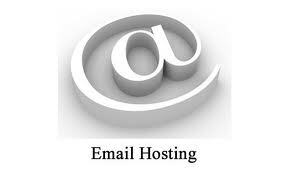 Looking for an email hosting option with tons of extra options and features? Convenient add-ons make this package more than worth it, and you'll use them more then you think. Want the ability to archive any of your business's emails quickly and easily? Want enough storage space to run any sized business effectively? Google email hosting can offer these things. As the owner of a growing business in today's fast paced society, chances are you're always on the go. You may be running from meeting to meeting, getting your face out their and making new connections, or you may be taking a much needed day off. Whatever the situation is, it's always nice to have access to all of your emails and other information from anywhere. 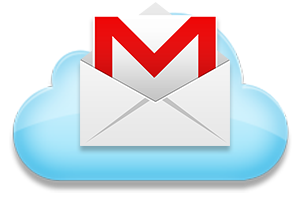 Google business apps, particularly Google email hosting, are known for portability. Access these services from anywhere, on any portable device you may have, even your mobile phone. Take your work with you and never rush to the office to check your email again. Finding proper tools for your business isn't always easy. Wading through the many options available can create a growing feeling of stress and tensions, leading some business owners to being overwhelmed. Don't settle for the first service that crosses your path, take your time and research all of your options. In the end, the goal is to find what works for you, the service that will help make managing your business an easier, more streamlined process. Google business apps are a great option to consider, though certainly not the only thing out there. Along with top notch email hosting services, you'll also have access to a wide array of other useful business oriented apps. Get powerful calendar software that will help you schedule appointments and deadlines, huge amounts of storage for all of your business's important documents, powerful messaging tools to make communication between team members a snap, and so much more. Go with what works, go with Google.